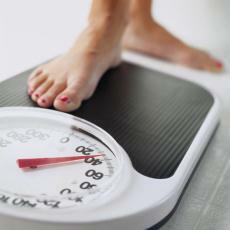 Home › News › Do Weight Loss Supplements Work? Everywhere you turn it seems there is a new weight loss supplement ad. Losing weight is big business. Extreme weight loss dramatically changes your physical appearance, but more importantly it increases your physical and emotional health. It is not surprising that a large number of Americans use a little something extra to encourage weight loss. Americans take pills, shakes, and other forms of products to block fats, speed metabolism, and slow their appetite. Most of these supplements are rejected by experts. So is there anything out there that can give you fast weight loss? There are a few proven weight loss supplements on the market today. By using one or a combination of these products you may be able to speed up your ability to shed those pounds. Conjugated linoleic acid (CLA) is one such supplement. According to studies, one of the benefits of using this product is a decrease in total body fat, as well as an increase in lean body mass. These two benefits can counteract one another, resulting in only a small change on the scale. But the increase in health benefits cannot be argued. Another product that has gotten popular in the US is green tea extract, though other countries have been using it for centuries. Green tea extract is known to speed your metabolism without the harmful effect of an increase in heart rate. This popular supplement helps you achieve fast weight loss without the jittery feeling that other supplements give. Drinking Green tea extract also carries the benefit of a feeling of fullness, thus cutting down on food intake. Other health benefits include lowering bad cholesterol, an increase in good cholesterol, and prevention of tooth decay by destroying bad bacteria in your mouth. We often think of calcium and fiber as being healthy, but not always associated with weight loss. When we think of calcium we think bone health. But this mineral is also being shown to preserve muscle and increase fat loss. Taking calcium alone will not give you huge results, but combined with other supplements you can achieve fast weight loss. Fiber is well known for keeping your digestive system regular, but maybe less known for the fullness that the supplement provides. Fiber will stay on your stomach much longer than other vitamins or minerals. This allows you to feel fuller longer. Yes there are weight loss supplements out there that can help you achieve your desired weight. But there is no “get rich quick” answer. Most of us didn’t put the weight on overnight, and it will take a concentrated effort to get it off. So let’s do it in a healthy way, so we build our health up while bringing the scale down. The post Do Weight Loss Supplements Work? appeared first on Nashua Nutrition Blog.